Happy long weekends everyone! Recently I had a discussion with my friend about caffeine. 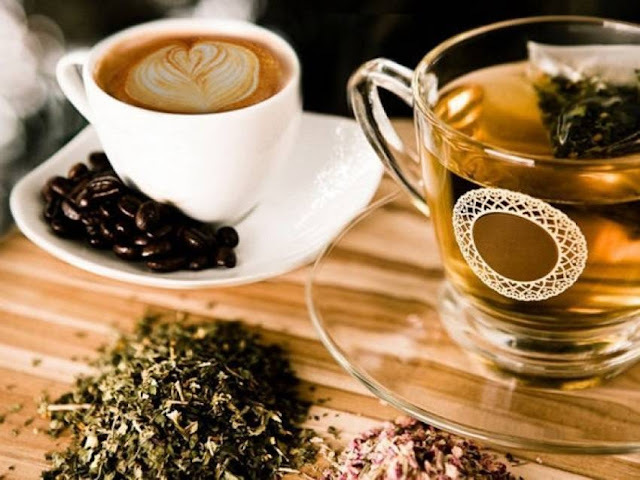 Two of the most-loved beverages that contain caffeine are tea and coffee. Caffeine has both favorable as well as unfavorable effects on our health. I found an article by Dr. Ooi Yau Wei is a cardiologist at Mount Elizabeth Novena Hospital who has explained the pros and cons of caffeine in detail. Apparently, there exist many adverse effects of caffeine. It disrupts the functioning of body parts like the brain, heart, stomach, and hormones. Adenosine is a hormone present in our body that not only slows down our nervous system but also relaxes our body. Apparently, when there’s an intake of caffeine, the effects of adenosine is blocked, which leads to greater alertness, mental energy, and concentration. Research suggests that caffeine influences a perception and the state of mind. However, it all depends on the amount of caffeine and time of consumption. In people who are well rested, caffeine in small and medium doses improves attentiveness. In individuals who haven’t slept enough, caffeine tends to boost up their learning and decision-making skills. People who are addicted to coffee and tea perform better on various tests of cognitive performance such as reaction time and visual-spatial skills. Caffeine is known to relieve headache symptoms significantly. It can either be used alone or in combination with other medications for headache treatment. However, regular caffeine consumption isn’t good for health as it can lead to a chronic migraine and analgesic rebound headaches. Caffeine can protect individuals against heart attacks if taken in a low to a moderate amount (up to 3 cups per day). However, drinking more than 3 cups of caffeine in a day may cause heart artery problems and heart rhythm irregularities, especially in people with underlying heart disease. For people who rarely intake caffeine, one serving of caffeine intake may raise their blood pressure. However, there is little effect on regular coffee drinkers. Apart from having various advantages, caffeine intake has plenty downsides too. The main function of caffeine is to boost mental and physical energy. Apparently, many individuals turn to caffeine to cope up with their active and busy lifestyles. However, high levels of caffeine consumption may lead to symptoms such as a headache, trembling, fast heart rate, and insomnia. Other long-term effects of caffeine dependence include anxiety disorder nervousness, insomnia, irritability, and panic attacks. Caffeine can also cause a higher risk of osteoporosis. As per research, high coffee intake in women increases the chances of lower bone density and increased fracture risk. However, this can be taken care of by consuming calcium-rich food and drinks. An average US adult consumes 2 cups of coffee per day; this is almost 280 mg of caffeine. Heavy coffee drinkers are the people who consume 4 or more cups of coffee every day. Research proves that the advantages of caffeine outweigh the disadvantages. However, there are a few medical conditions that are made worse with the intake of caffeine. Now you have a better reason to get your daily coffee fix! The inspiration for this article has been taken from Health Plus Section, a source of credible health information by Mount Elizabeth Hospitals, Singapore.